321 Stainless Steel Supplier | Stainless Shapes, Inc. 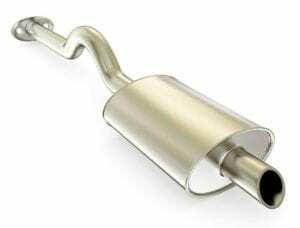 Car Exhausts can reach temperatures up to 1000 degrees. 321 Stainless Steel is essentially a modified version of type 304 stainless. The main difference between the two is the quintupled amount of carbon due to the addition of Titanium. The addition of titanium is used to help prevent carbide precipitation during welding and in high-temperature variance situations. Regardless of the wonderful addition of the titanium, 321 still has a lot of the same characteristics that makes the 300 series of Stainless so great. The common uses of 321 stainless is annealing, heavy duty automotive exhaust systems, firewalls, stack liners, aircraft components and other high temperature utilized equipment. Carbide Precipitation is often spoken about when talking about 300 series stainless. The concept is simple, but it has to do with metallic fusion. When metals are at high heats, they will often fuse together to create a denser metal than it was before. When it comes to stainless, there is chrome and carbon in stainless steel, and the two of them form a denser metal known as chromium carbide. This fusion is bad for stainless steel because it takes away from important properties. Chromium for example helps against corrosion resistance and depleting that by forming another metal will make your stainless weaker. The other side is that despite being structurally weaker to corrosion in certain places, the integrity of the stainless will also deplete because there will structurally be pathways to these two metals forming. 321 Prevents this with the addition of titanium, which means they can be held at higher heat for longer than other 300 series stainless. This makes it a much easier metal to work with regarding machining and working them into the appropriate shapes or uses. Not sure what you’re looking for? We have two sales offices filled with industry professionals who are prepared to help you with any questions you have. Make sure to give us a call at (800) 748-9811!